Driving under the influence or driving while intoxicated whether it is alcohol or drugs can lead to an arrest with immigration services. When arrested, fingerprints and photographs of you are taken and registered in the national database. At any moment you attempt to make an application for immigration benefit, for example for work authorization, visa renewal, asylum, adjustment of status, naturalization, your DUI/DWI record of arrest, criminal charges, and conviction(s) may affect the status of an immigrant in the United States. This record is permanent and will be referenced which could lead to a denial of reentry into the United States or removal or deportation from the United States. Under Section 237 of the Immigration and Nationality Act (I.N.A. ), any noncitizen convicted after September 30, 1996, of domestic violence, stalking, child abuse, child neglect, or child abandonment, is deportable. 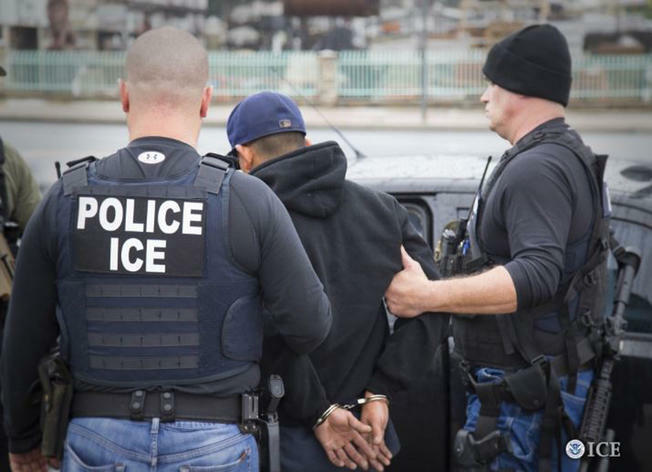 It does not matter how long the person has held the visa or green card, committing such crimes at any time after being admitted to the U.S. is enough to make the person deportable. This holds for any crimes committed by a current or former spouse of the victim, a co-parent of a child, or anyone else who attempts or uses physical force against another person or property who is legally protected by the U.S Government. Anyone convicted of an aggravated felony at any time after being admitted to the United States including domestic violence could lead to not only the removal of U.S grounds but also a permanent restriction to ever applying for immigration relief and could be punishable by at least one year in prison. Immigration authorities have already used tactics such as court arrests and subsequent deportation for immigrants just about to walk into court to plead their case before a judge. Now, they have set their sights on any type of terminals such as airports and busses. It’s been reported that immigration authorities have been waiting for passengers who are taking internal flights within the U.S such as New York to Florida or Texas to California, and flights coming into the U.S (Example: Mexico to Atlanta) by using the airport terminal boarding ramps or having multiple checkpoints on bus routes such as Greyhound and Amtrak. Department of Homeland Security (DHS) and Immigration and Customs Enforcement (ICE) or Customs and Border Protection (CBP) are able to put “immigrants on hold” and are no longer just targeting those who have a criminal record but those who have overstayed their visa and have a deportation order against them. They do this lawfully, due to their 100-mile zone rule, in which CBP agents may search any vessel, aircraft, or vehicle within 100 miles of any border for undocumented immigrants. They set up permanent and temporary checkpoints and have detained passengers who could not prove their legal residency in the United States. But, law enforcement agents cannot detain you unless they have reasonable suspicion and you are also allowed to remain quiet and decline to answer questions. Officers cannot use the person’s decision not to answer questions as reason for suspicion of any wrongdoing or make assumptions that they overstayed a visa or have an unlawful entry. U.S. immigration law is harsh on individuals who have engaged in spousal or child abuse. Having a protection order issued usually won’t stop a person from naturalizing, but violating an order has serious immigration consequences. Any person who violates a restraining order is deemed deportable, it doesn’t matter how long the person has been in the United States or how long they’ve been a lawful permanent resident with a green card. When a person does something that violates an order of protection, including and not limited to police reports, text messages, affidavits, is served as proof of a violation and this violation can be used as a weapon in disputes, child custody battles, divorces and immigration status. Violations of protection orders can also make an immigrant deportable under this section of the immigration law since a “protection order” is also issued to prevent domestic violence or threats. Bar fights may seem harmless ….you’ve had too much to drink, and someone gets in your face, you are tipsy, and one thing leads to another and you are both fighting, perhaps it will end there, with a few hits being thrown and everyone going home, but if you are unlucky — or if things get out of hand — the police may be called, and it could lead to multiple criminal charges, you can be charged with the misdemeanor charges of disturbing the peace and battery, another serious charge is assault which is a misdemeanor unless a weapon is used. If you have a long history with misdemeanors it could lead to inadmissibility. Misdemeanors can bar ones eligibility for a visa or green card, if you have committed a crime (even only a misdemeanor and even if you were not formally convicted) and are (or plan on) applying for a green card or U.S. visa, it is best to seek the advice of an experienced immigration attorney for help in continuing with your application.